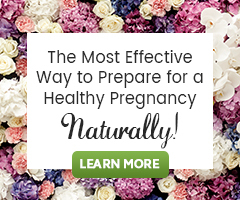 Ovulation Calculator | How Can I Tell if She's Ovulating? A new way to tell when a woman is ovulating, check out her outfit! Home → Bizzare → A new way to tell when a woman is ovulating, check out her outfit! A study from UCLA finds evidence that women put more effort into their clothing and grooming during their most fertile times. “Near ovulation, women dress to impress, and the closer women come to ovulation, the more attention they appear to pay to their appearance,” said Martie Haselton, the study’s lead author and a UCLA associate professor of communication studies and psychology. “The thing that’s so remarkable about this effect is that it’s so easily observed,” said April Bleske-Rechek, the study’s co-author. UCLA students tracked 30 college coeds in committed relationships through an entire ovulatory cycle. Using urine tests that are nearly as accurate for determining ovulation as ultrasounds, they ascertained each woman’s most fertile period — about 10 to 15 days after menstruation — and their least fertile period — roughly the two weeks following ovulation. The researchers photographed the women twice: once in their fertile (follicular) phase and another time in their non-fertile (luteal) phase. To ensure that only the women’s attire, grooming and accessories were taken into account, researchers masked participants’ faces in the photographs with black ovals. In 60 percent of the cases — a frequency well beyond random chance –– the judges picked the high-fertility photos. I love this study. It makes sense to me that we would dress more attractive when we are ovulating. We are “ready” to mate and want to “attract” our lover. But what this study sheds light on is an even deeper event happening. We know when we are ovulating…subconsciously. This is very powerful; our actions are influenced by where we are in our fertility cycles. PMS is a great example of this, our moods, feelings, everything are directly affected by the hormones at play during that time of the month. Why not when we are ovulating? From personal experience this study is true in my life. I do dress sexier, I am definitely checking out my husband every time he walks by, and I am more likely to wear more makeup. So, know you will know when other women around you are ovulating. They dress better than usual.